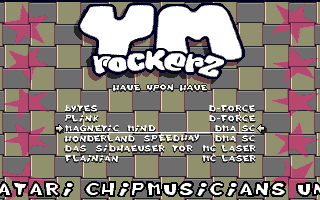 Here comes a production brought to us courtesy of YM ROCKERS. Who you said? some coders to use their musical scores. And believe me, they're SO right ! Exocet is shown before we reach the main menu. Btw all coding is due to Abyss !